Acting is one of the dreams of millions of people. Becoming a star, or just making a living off of your acting, is a lofty goal, but one that could turn into a reality with hard work. And while plenty of adults are out there trying to chase down this dream, there are almost as many children trying to break into the business. Kids can be bitten by the acting bug early, and this early start could set them down a lifelong path of acting. But how do you help your child get into acting? We all want our kids to realize their dreams and accomplish their goals, but in the competitive world of acting it can often be more difficult to ensure that those dreams become a reality. There are a few steps that you can remember regarding this which might help your child find better success at attempting to become an actor. There are no guarantees, but with the right steps and hard work it is possible to help them transform themselves into an actor. Before we even get into the more specific steps you should take to help your child break into acting, we need to touch on something important – that you and your child are going down this path for the right reasons. When an acting coach asks a child why they want to act, it often breaks their heart to hear a response like “My mom and dad wanted me to” or “A lady in the mall told me I should be a model”. It’s very common for a parent to cajole and pressure their child into acting. Living vicariously through our kids is nothing new, but as challenging as it is to succeed as an actor, trying to force your child into acting because you want them to do it or because you wanted to as a kid and never did will only set you up for disappointment and a strained relationship with your child. Kids also shouldn’t want to act just because they want to be famous. The child actors who succeed are those who approach their parents and start asking to take the steps towards becoming an actor or actress – the kids who enjoy becoming another person for a little while or telling stories. It’s important that your child is taking steps towards being an actor for the right reasons, or else the entire process is likely to be unsuccessful. They need to know about the hard work involved in order to be willing to put forth the effort needed to thrive. The first real step towards a serious career in acting for a child is to start them practicing and gaining experience in the field. Here are a few tips for this. School productions are a great place for kids to start getting the hang of acting, and helping them rehearse or learn their lines will be instrumental in helping them achieve their goals. You can also help them put on short skits or plays at home for family. Even if it’s only you they’re performing for, this can help them hone their skills in a big way. Your child should read a lot. This should include everything from books to plays to scripts and more. This helps them get the hang of reading parts easily and even committing them to memory. Also work on reading aloud, reciting lines clearly, and enunciation. Some children have trouble delivering lines properly, and practice is the only way to help overcome this. Start a YouTube channel for your child. This gives them a space to act, build confidence, see their own performances so they can improve their skills, and will even help build up their ‘brand’. It’s even possible that YouTube could directly lead to a child’s career advancement. Either way, it’s plenty of fun and completely free. 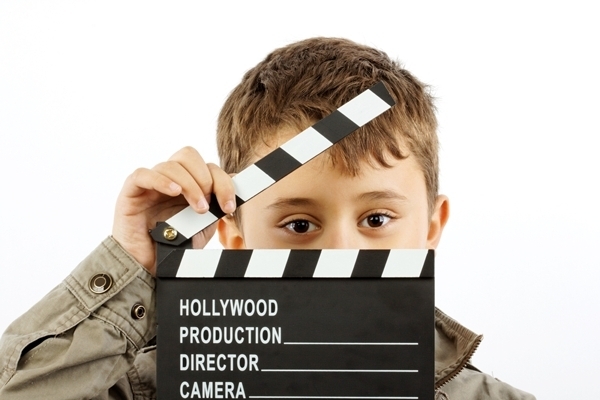 These steps will lay the foundation for a young actor, and are vital for anyone who is working on guiding their child towards an acting career. Once your child has some practice under their belt, they’re ready for the next step – trying to land a professional gig. This will be the most challenging part of the process, and is why the steps above are so important – it increases your child’s abilities and as a result boosts their chances of finding success. Here are some of the key things to keep in mind when you start looking for professional, paying work for your child. Only look into casting calls that are legitimate. There are plenty of people out there who know full well how desperate parents are and can take advantage by charging huge amounts for auditions or auditioning for parts that don’t even exist. And always accompany your child on their audition. Have a clear idea of what your child is going to read for if possible. If not, just have them practice on reading directly from a script and doing their best work. Bring resumes and headshots with you to the audition in case you need to leave multiple copies, and also consider bringing a change of clothing. Sometimes you’ll get a call back for the same day, and being prepared makes a big difference. Help them find extra work. A job as an extra may not be glamourous, but it’s easier to land than a lead role and will help build confidence as well as additional space on a resume. Keep working. Finding that dream part can take years, and the key is developing a child’s skills and craft along the way and ensuring that they have a solid resume history. As with anyone who is trying to break into acting, the real keys are practice, experience, and patience. Practice and experience help hone a child’s skills and develop their talent while patience is a must in order to stick with the process. It’s a difficult road, but it is possible to help your child reach their goals.